When you decide to become a host family for students looking to study abroad, you're providing a useful service to those young adults and their families. Simply put, people feel safer going with a host family rather than relying on campus dorms. Apart from their increased comfort, though, you will also earn a little extra money and you get to enjoy meeting new people and learning about other cultures, even as you teach them about yours. In other words, it's a win-win experience for host families and the foreign exchange students that stay with them. But it shouldn't surprise you that many students find themselves dealing with language barriers, culture shock, and homesickness when they study abroad. So in an effort to ease their transition, you want to make sure your home is as welcoming as possible. 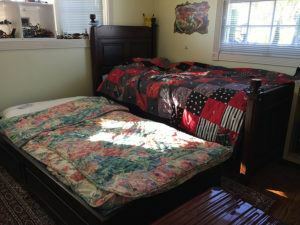 Hosting a foreign exchange student, while certainly beneficial to all involved, will require some work, and that work starts with preparing your home to welcome a new member, even if only temporarily. You can do this in a variety of ways. If you've used an appropriate service, your live-in student will have used a host family finder to ensure a compatible match, meaning you should have a better chance of getting along right off the bat. But you should still take steps to make your student feel comfortable. A nicely appointed room with a comfortable bed, a desk for study, and perhaps even access to media (a TV, a stereo, or at least internet access) is a good start. And installing a pinboard will save your walls from tacks and tape and allow your student to pin up photos of family and friends. You might also want to try to make students feel at home by providing some measure of familiarity or making some adjustments on the students culture. If you're so inclined, you could try to make traditional dishes from your student's home country or go online to print out pictures of his/her hometown to hang in the bedroom. There will likely be some growing pains associated with hosting foreign students, but a little forethought and compassion will go a long way towards making the student in your home feel welcome. 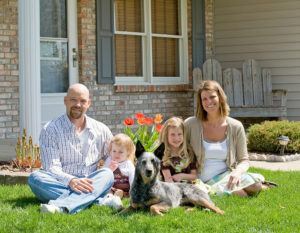 When students find a host family, they're naturally hoping for a household that is compatible. And you can definitely do your part to make your home warm and inviting for your guest. Just try to put yourself in your student's shoes and think about what would put him/her at ease. If you are one of AmeriStudent host families, please contact us if you any tips or suggestions on preparing your home for your incoming international students.